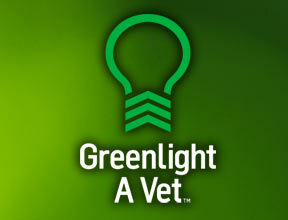 TULSA – CheeZies Pizza is proud to endorse the national “Greenlight A Vet” campaign, to raise national awareness of our veterans and their honorable service to our country. The campaign is simple: people and businesses all over the country show their support of veterans by changing one visible lightbulb to green at their home or office. CheeZies Pizza corporate locations will be showing their support by installing green lights near their store entrances through Veteran’s Day on Nov. 11th, while encouraging their franchise-owned stores – along with their customers – to join in the cause as well.